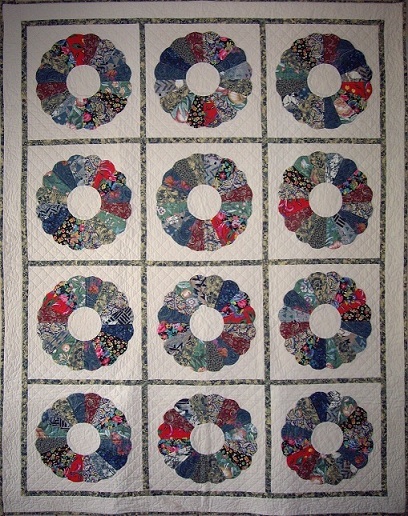 Something I always wanted to make, this traditional quilt uses fabric dating from the 1950’s to 2000. I used unwashed cotton batting, and, after machine quilting, washed the piece in hot water to shrink the materials and give it a wrinkled look. Then I tea-dyed the whole quilt to give the finished piece the appearance of age: a faux antique. Machine quilted.